From Woonsocket to Westerly, Rhode Islanders are ready to help realize our state’s full potential and build a future full of opportunities for all. As Secretary of State, Nellie is working hard to engage and empower all Rhode Islanders in that process. Your generous support helps provide the resources necessary to accomplish this goal and move our state forward. Thank you! Contributions or gifts are not tax deductible. Per Rhode Island State Law, individuals may contribute a maximum of $1,000 per year. 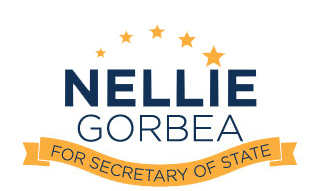 Paid for by "Friends of Nellie Gorbea".